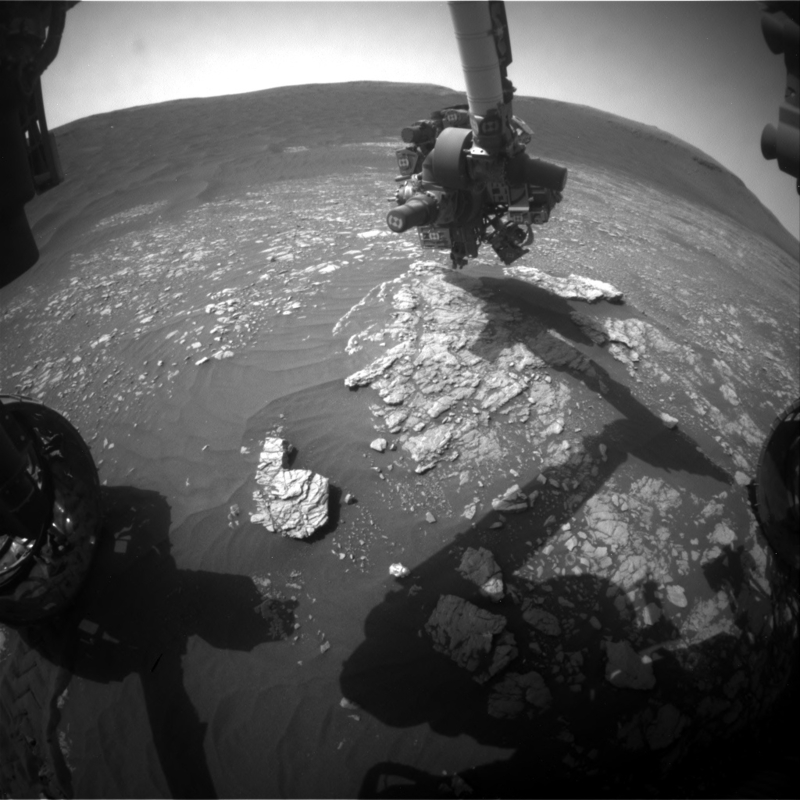 Curiosity Front Hazcam Left B image taken on Sol 2367, April 4, 2019. 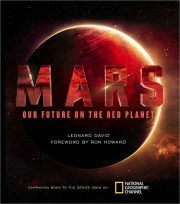 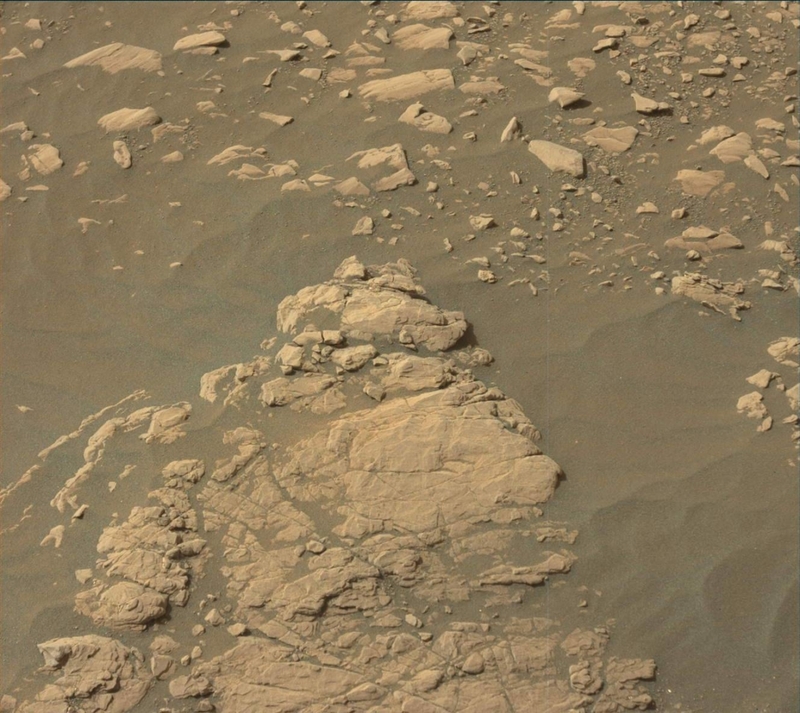 NASA’s Curiosity Mars rover is performing Sol 2367 tasks. 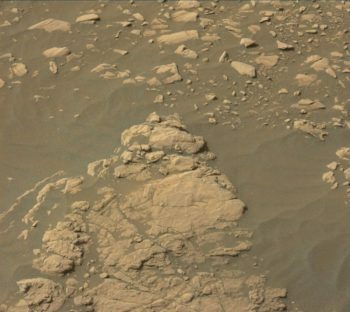 “Our short drive on Monday was successful, bringing two candidate drill targets into closer, clearer view, reports Michelle Minitti, a planetary geologist at Framework in Silver Spring, Maryland. 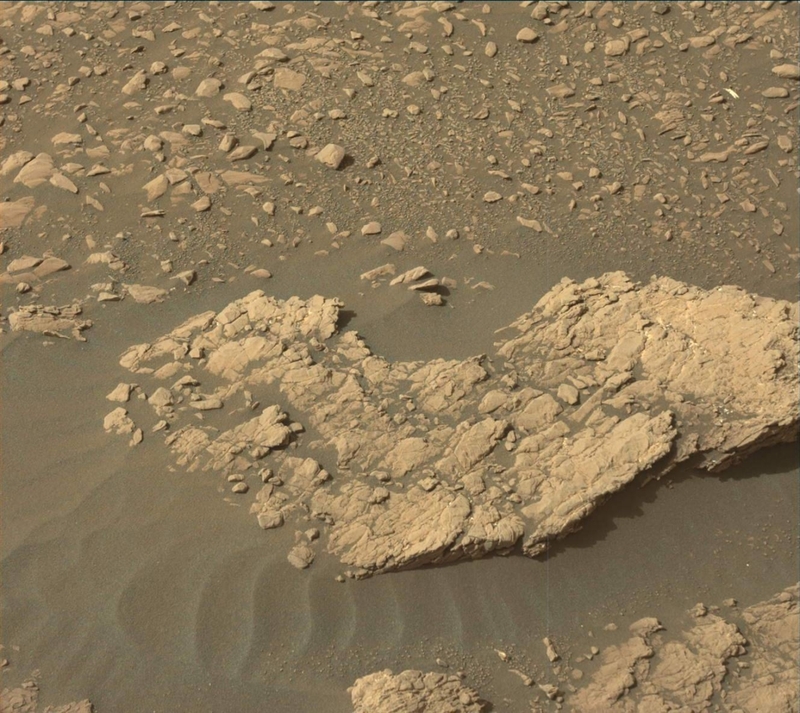 Prime drilling candidate “Aberlady” as seen in this Curiosity Mastcam Left image acquired on Sol 2365, April 2, 2019. 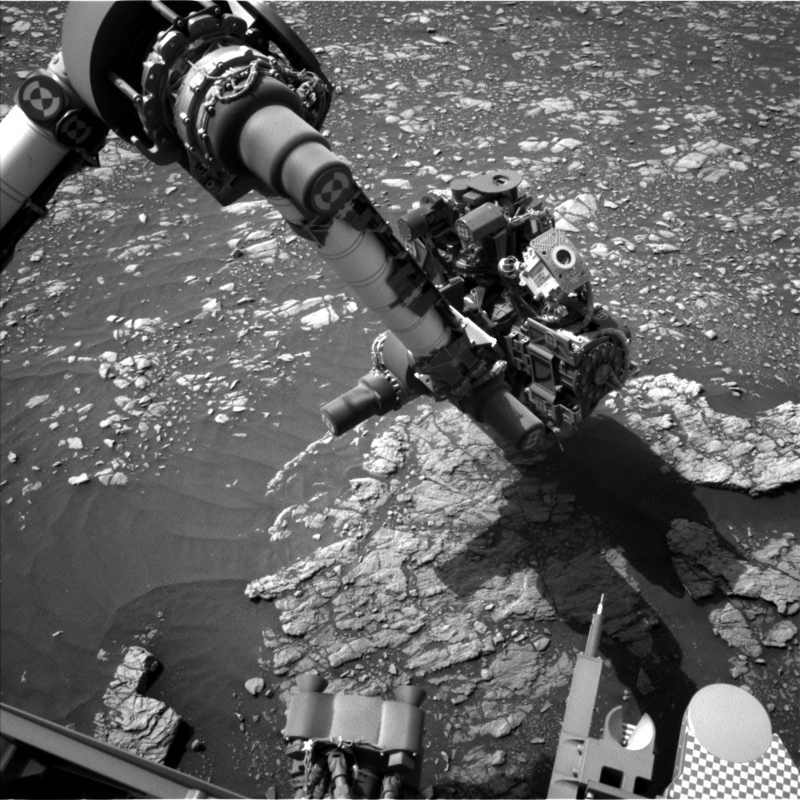 Curiosity Mars Hand Lens Imager (MAHLI) and Alpha Particle X-Ray Spectrometer (APXS) observations from Longannet, and Chemistry and Camera (ChemCam) observation of the Sol 2365 “Tartan” target, chosen because of its resemblance to Longannet, all fell in family with the range of lithologies we have observed in the clay-bearing unit, Minitti explains. 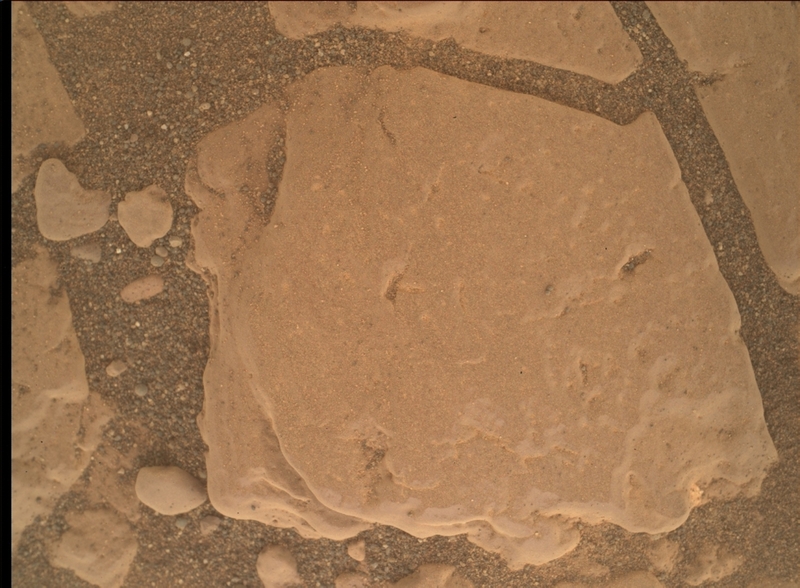 Curiosity Mars Hand Lens Imager (MAHLI) photo produced on Sol 2367, April 4, 2019. 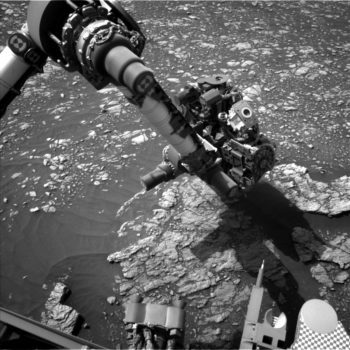 MAHLI is located on the turret at the end of the rover’s robotic arm. Curiosity Navcam Left B image acquired on Sol 2367, April 4, 2019. 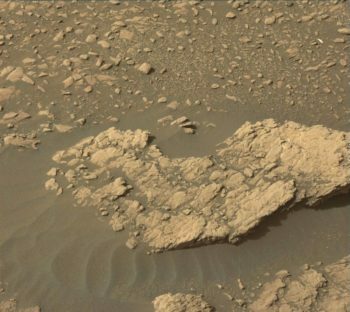 Curiosity Mastcam Left image acquired on Sol 2365, April 2, 2019. Minitti reports that Mars team members crammed in as many science observations on Aberlady as possible before the communication pass that will bring us data before planning tomorrow.